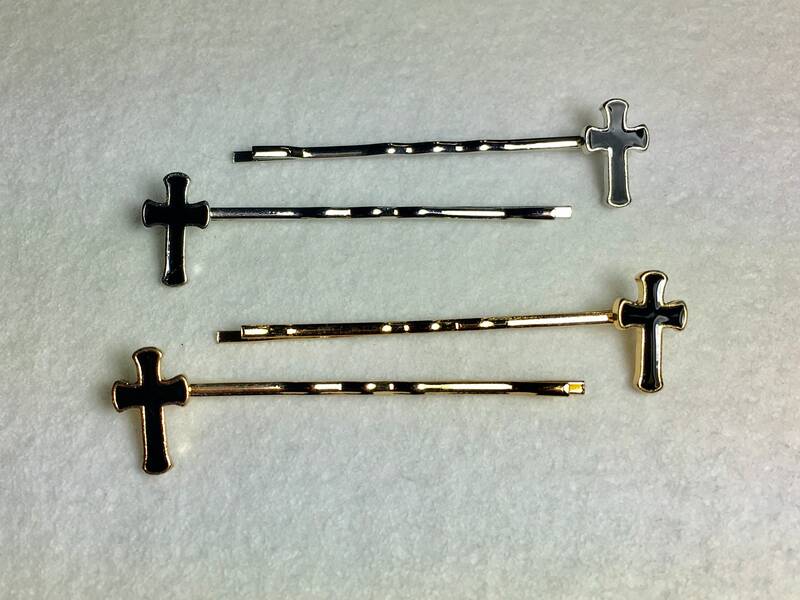 Select either (2 bobby-pins per order) Gold or Silver Pair Plated Cross Bobby-pins with a black Cross inlay. Each pair is configured Opposite for each left and right sides. 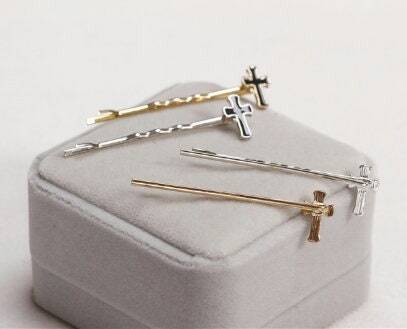 Very nice looking! Designed with a real classic look and feel!